The prospect of paying college bills may feel overwhelming, and that's completely understandable. Luckily, however, you have a powerful savings option like your 529 plan account. Plus, you can use the free online planning resources below to help you reach your goal. How much will college cost when your kids are ready to attend? 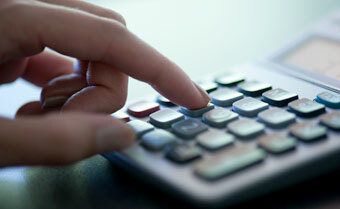 Use this calculator to estimate future costs for both public and private schools. This tool estimates how much you may need to invest each month. If you can't save the recommended amount right now, don't be discouraged. Just save what you can. Remember, every dollar you save is one less you will have to potentially borrow down the road! If you're not sure which type of investor you are, complete this short questionnaire to find out. If you already know which type of investor you are and/or you prefer to create your own mix of investments, choose Option 2—Select your temperament from this asset allocation resource to determine an appropriate option based on your child's age.